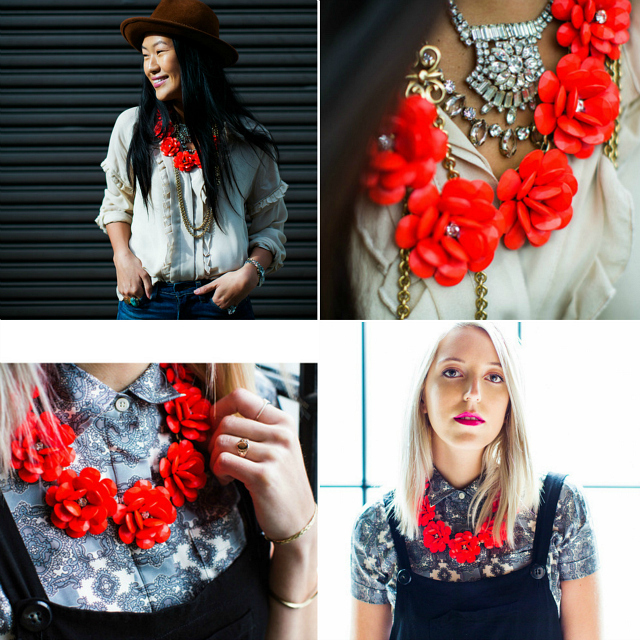 Remember the coveted J.Crew Beaded Rose necklace? 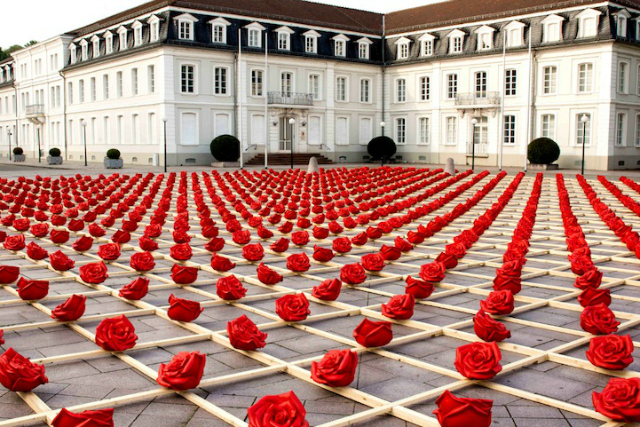 I couldn't help but think of the necklace when I came across photos of this installation called 1,000 Roses for Zweibrücken. 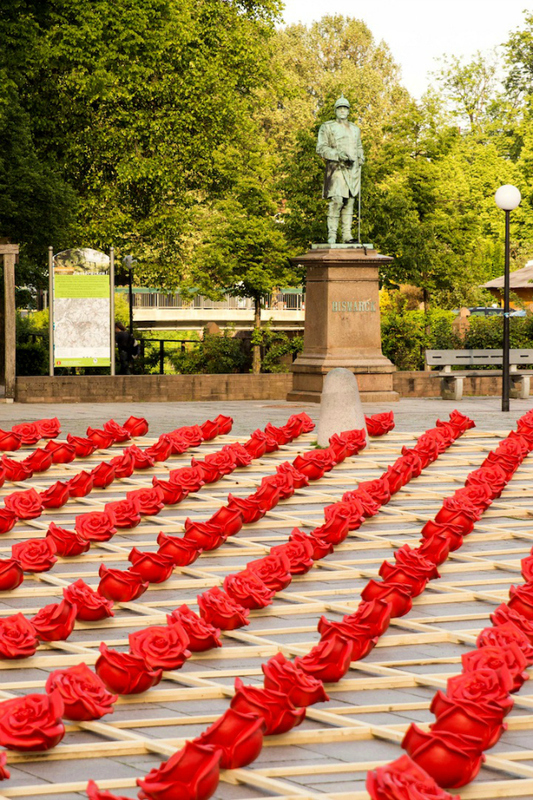 Located in Germany, Zweibrücken has a rose garden that grows over 60,000 roses with 2,000 varieties The town is appropriately known as the "City of Roses." Wow! That is such a beautiful sight! Oh WOW Nancy! So gorgeous! That necklace is seriously amazing! Great pictures, too :) Thanks for sharing! wow thats really pretty! what a cool photo! love the red. xO! Wow, what an amazing art installation. Oh, wow! 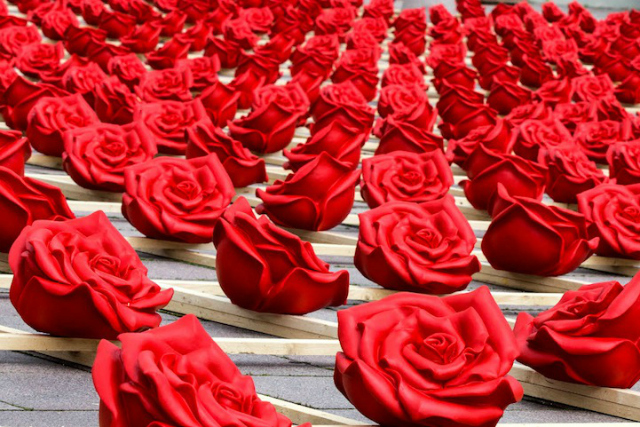 That must have taken so long...but all the plastic roses look so pretty! muy bello, que buena idea para levantar la ciudad! This is so beautiful! 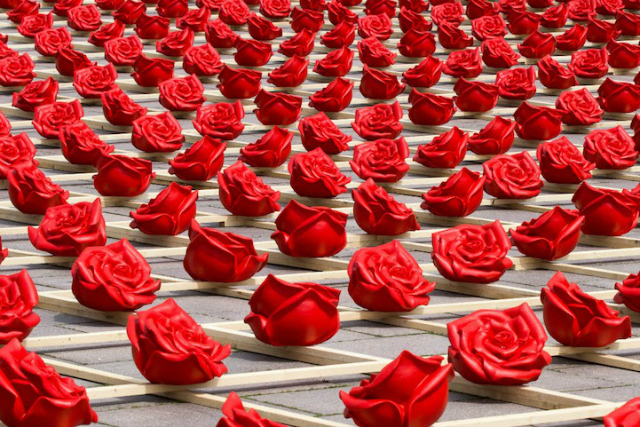 I would love to go visit this installation. Wow - thsnks for sharing! This is such an amazing undertaking! Roses are very beautiful - but ouchy thorns!! Wow I thought the necklace was beautiful but the installation is beyond amaxing!! That necklace is so gorgoeus! I love roses too. Great post, lady! Wow that installation is amazing.. I wonder if the necklace was inspired by it?